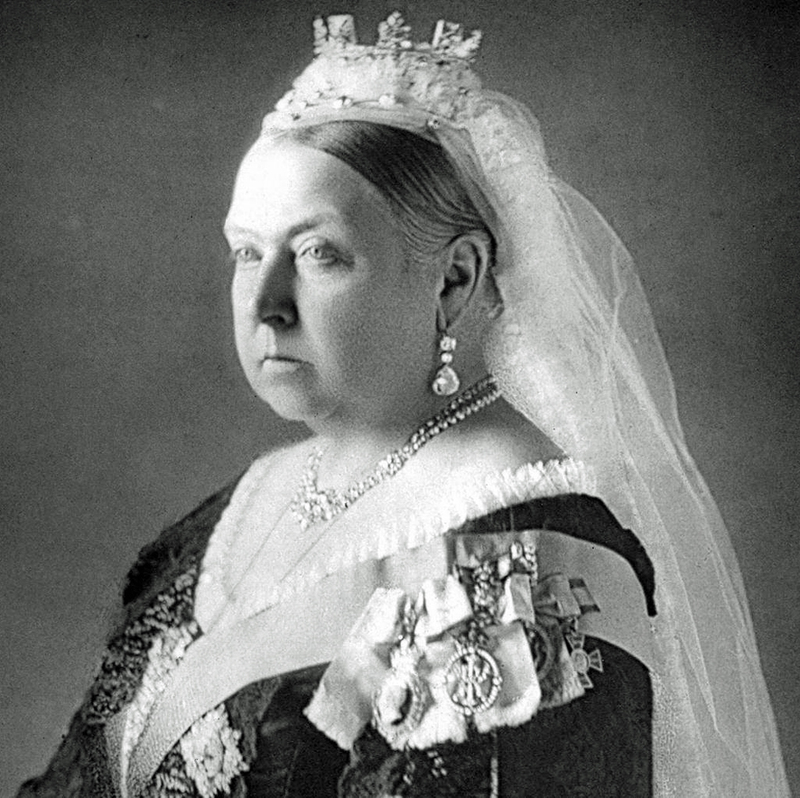 Née en 1819, la reine Victoria monte sur le trône alors qu’elle n’a que 18 ans. Son très long règne marque une période de profonds changements sociaux, économiques et technologiques au Royaume-Uni – l’époque victorienne – ainsi qu’une rapide expansion de l’Empire britannique. 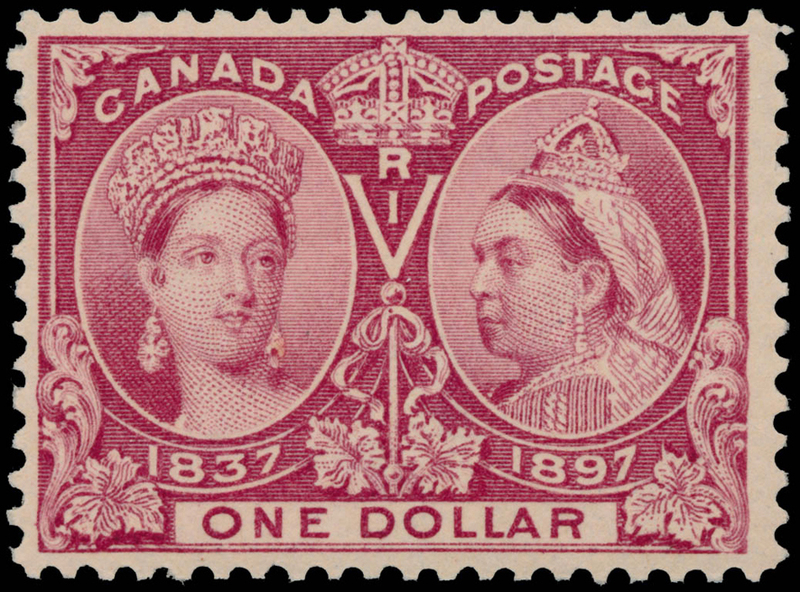 À l’occasion de ce jubilé, de nombreux timbres sont émis, plusieurs pièces frappées ; des institutions protestantes de Québec font fabriquer des médailles et les distribuent aux enfants d’écoles publiques. 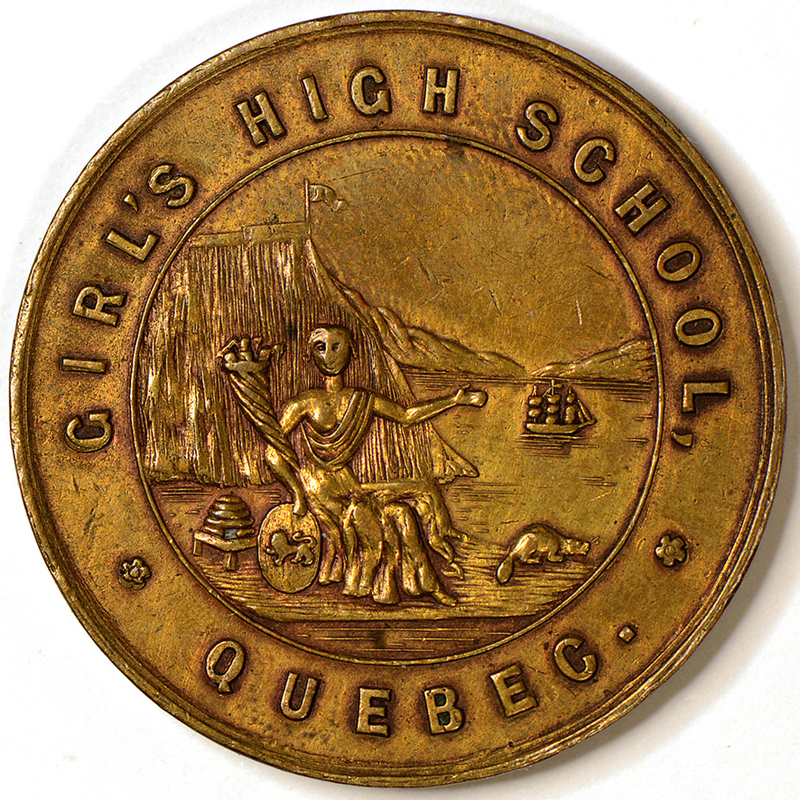 Dans son ouvrage Le Médaillier, Jos Leroux en distingue trois types : Protestant School Commissioners, Quebec (1875b) ; High School of Quebec (1875c) ; High School for Girls, Quebec (1875d). Atelier : Henry Birks & Sons. Métal : Argent; cuivre; bronze. Diamètre de la médaille : 30 mm. Métal : Argent; cuivre; aluminium. 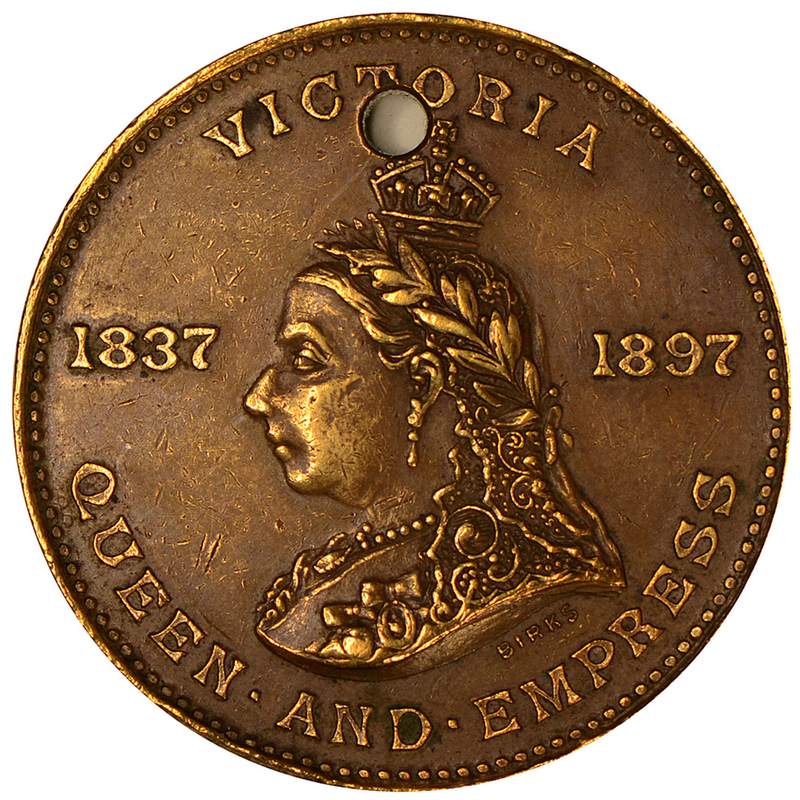 The longest reign of any British Sovereign has been considered an event worthy to be commemorated by the striking of medals in many places throughout the Empire; and Canada has not been behind the other Colonies in the number of these medals for on no other occasion have so many been issued. 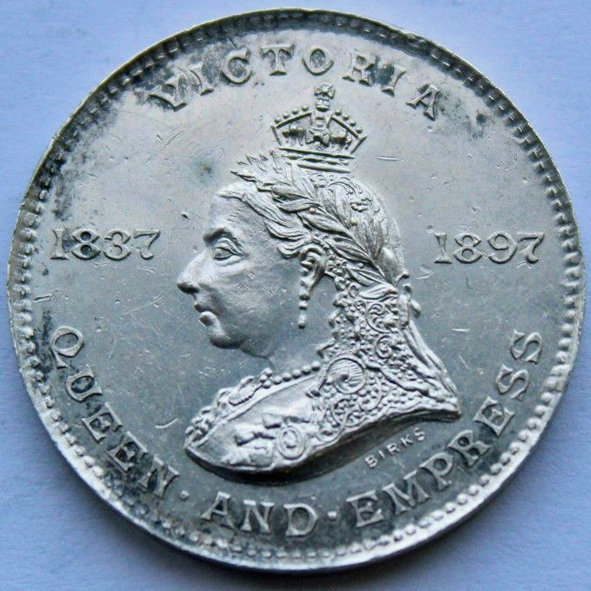 The idea of presenting » Diamond Jubilee » medals to children in the public schools seems to have sprung up simultaneously in very many places in the Dominion. Although some of these are not of the highest merit, others are so beautiful and appropriate that it has been thought well to publish the list thus early that it may be preserved for reference and that the facts may be noted down before they pass from memory. 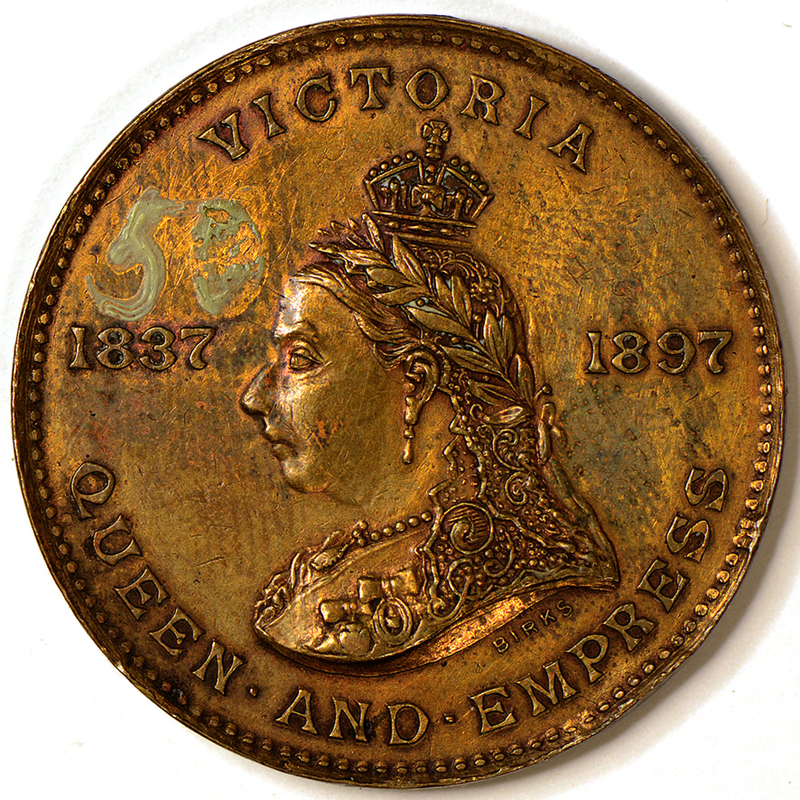 This is a firm of jewelers who for about twenty years have carried on an extensive business in Montreal, and while they had not heretofore struck medals, had done considerable work in cutting crest and other dies. 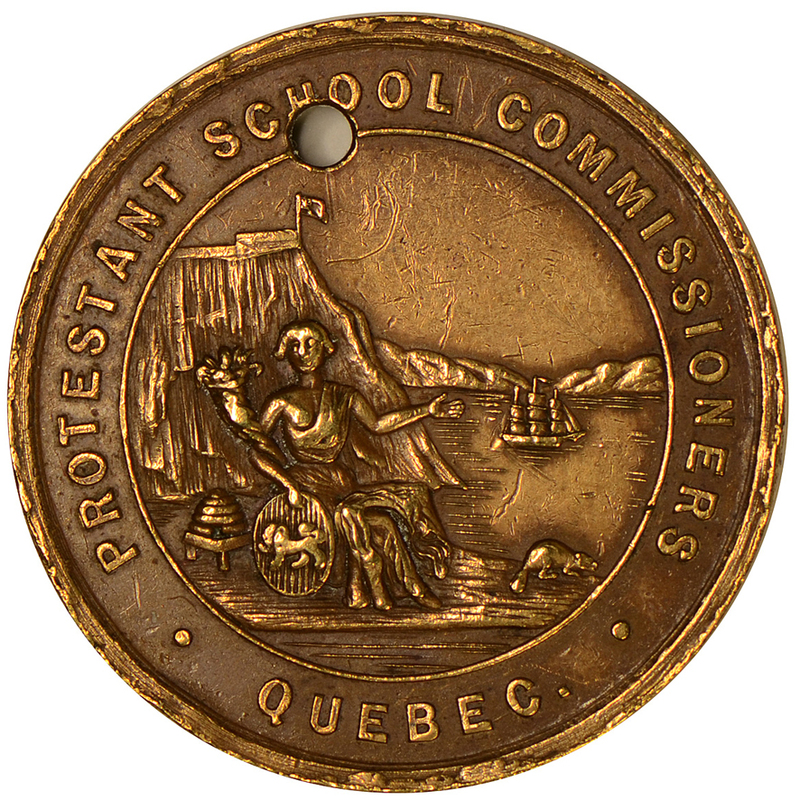 Having received a large order from the Protestant Board of School Commissioners of Montreal they solicited other orders with the result that the ten medals described below were struck by them. Obv. 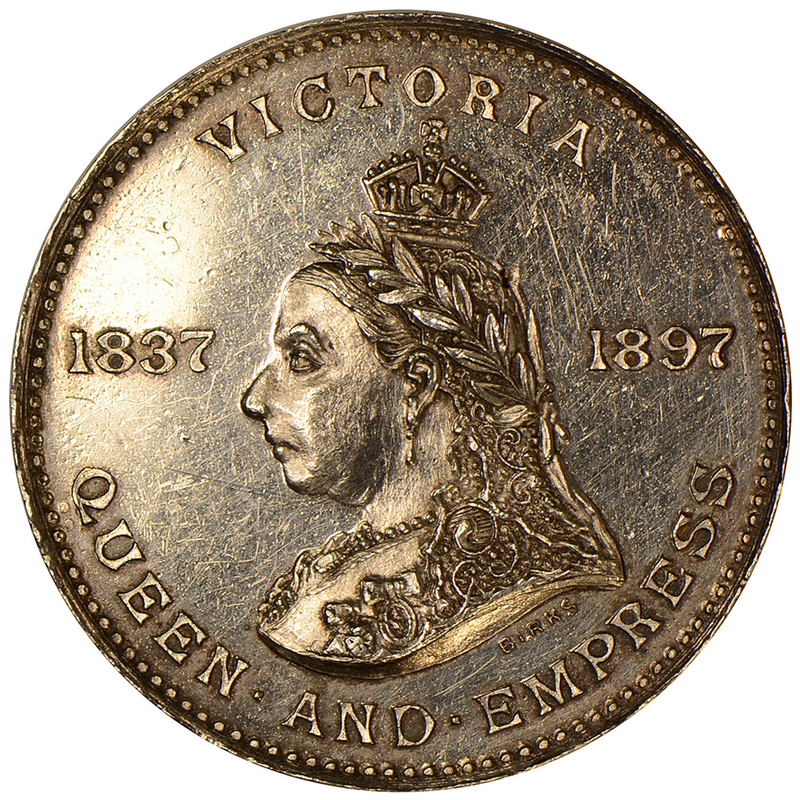 VICTORIA QUEEN AND EMPRESS; the crowned and laureated bust of the Queen to the left, with the date 1837 before and 1897 behind; under the bust, one and a half millimetres from the back, is the signature BIRKS. […] The signature is two and a half millimetres from the back of the bust and the lace round the neck more pointed. Rev. 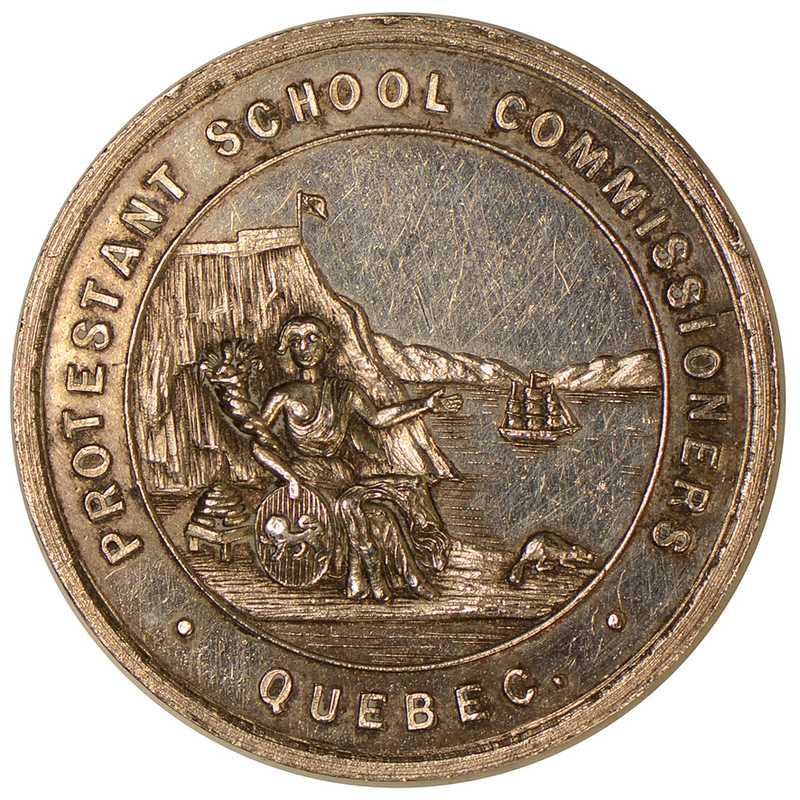 PROTESTANT SCHOOL COMMISSIONERS QUEBEC. ; the arms of Quebec, consisting of a female seated at the foot of Cape Diamond, holding a cornucopia; at her side is a beehive and a shield emblazoned with a lion, before her is a beaver; size 30 m.; br. and w. m.
The number distributed among the children of the public schools of Quebec was 279. Rev. HIGH SCHOOL OF QUEBEC. The Citadel of Quebec to the right and a leafless tree to the left; a beaver in the foreground and four vessels in the river; size 30 m. br. Only 106 of this medal was struck. The design is taken from an old seal of the Province of Quebec. Rev. 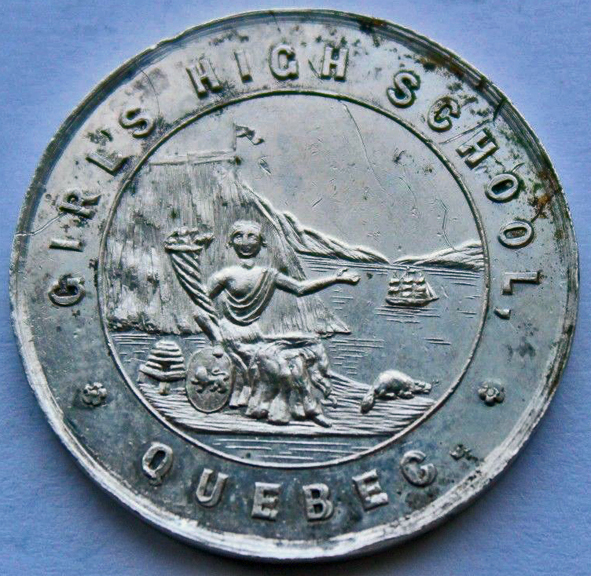 GIRL’S HIGH SCHOOL, QUEBEC. Arms similar to No. 6; size 30 m.; br. There were only 95 of this medal distributed.